Written in lush, lyrical prose - rich in island detail, redolent of Maine in summer and of the Pacific -The Bird Skinner is wise and wrenching, an unforgettable masterwork from an extraordinarily skillful novelist. Jim Kennoway was once an esteemed member of the ornithology department at the Museum of Natural History in New York, collecting and skinning birds as specimens. Slowing down from a hard-lived life and a recent leg amputation, Jim retreats to an island in Maine: to drink, smoke, and to be left alone. As a young man he worked for Naval Intelligence during World War II in the Solomon Islands. While spying on Japanese shipping from behind enemy lines, Jim befriended Tosca, a young islander who worked with him as a scout. Now, thirty years later, Tosca has sent his daughter Cadillac to stay with Jim in the weeks before she begins premedical studies at Yale. She arrives to Jim's consternation, yet she will capture his heart and the hearts of everyone she meets, irrevocably changing their lives. Jim wedges the chair into the kitchen doorway, forcing the screen door open, lights his third or fourth cigarette. The doctors told him not to. Cut down on the drink, right down, and cut out the smoking altogether. To hell with that. He lost the leg anyhow. The nicotine leaves him edgy and overly alert. An irascibility that's hard to burn off, stuck as he is in a wheelchair. He could use a drink is the truth of it but he'll hold off for now. It's the least he can donot meet the girl half drunk. The anchor of The Bird Skinner is the title figure, Jim. What makes this misanthropic man an endearing character? Why do the other characters care about him? Why is Jim so resistant to Cadillac's arrival? What are his excuses? Are they understandable? Discuss how Jim has set himself apart throughout his life. In what ways has he always been an outcast and recluse, from childhood through old age? With what curse does Jim's grandfather haunt him? How does this curse manifest in Jim's relationship with Fergus? Despite Jim's flaws as a father, Fergus cares for and looks after him. Talk about how their roles as father and son change throughout the story. Readers of The Bird Skinner may be left, as Jim says of his friendship with Tosca, "slightly dazed by how all the pieces fit together." But fit together they do, in a sophisticated narrative that blends seemingly irreconcilable times, places, and people into one lush and troubling whole. (Reviewed by Rebecca Foster). Sensitively written and gently understanding of human frailty. . . . Greenway’s rapturous prose and warm empathy assert that there is beauty to be found in even the unhappiest lives. Gifted at evoking places in the past, Greenway is at her most poignant in moments when outsiders and natives, from hot climates and cold, come face to face, attempting to connect across geographic, cultural, emotional, and psychological divides. Rich in sensual detail and heartbreaking in its portrait of a life consumed by regret. Greenway’s limpid, poetic prose; her richly nuanced portrait of a nicely varied cast of characters on both Fox and Manhattan islands; and her evocative depiction of natural landscapes . . . [is] sensitive and finely written. A fascinating novel with the peculiar combination of ornithology and World War II in the South Pacific, birds and death, and the survivors who not so much survive as endure. This is a rich stew pervaded by fine story telling. Spirited and moving... Greenway has a marvelous sense of place and history. Her evocation of the war in the Solomons, and her description of the island in Maine, are pitch-perfect. Greenway creates intensely believable characters who come from other places and other times. She captures so well the unsleeping tragedies of the past, and how these bear in upon the present. The little-known Solomon Islands are a particularly unusual frame of reference for a work of contemporary fiction. By contrasting New England and Oceania, The Bird Skinner sheds light on a fairly obscure culture. 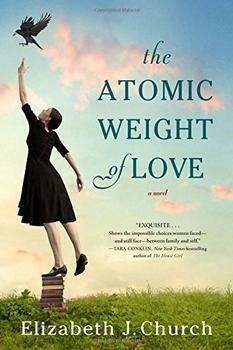 In the spirit of The Aviator's Wife and Loving Frank, this resonant debut spans the years from World War II through the Vietnam War to tell the story of a woman whose scientific ambition is caught up in her relationships with two very different men. The startling new novel from a brilliant young Irish novelist on the rise, who "has a sensational gift for a sentence" (Colum McCann).